If signed into law, HB 337 would take effect in July 2021. The bill is sponsored by Florida Rep. Tom Leek of Ormond Beach and contains a provision allowing defendants to challenge the amount of damages sought by plaintiffs in a lawsuit. Plaintiffs would have to provide evidence early in the litigation showing they are likely to recover the sum sought, or risk having their cases dismissed. 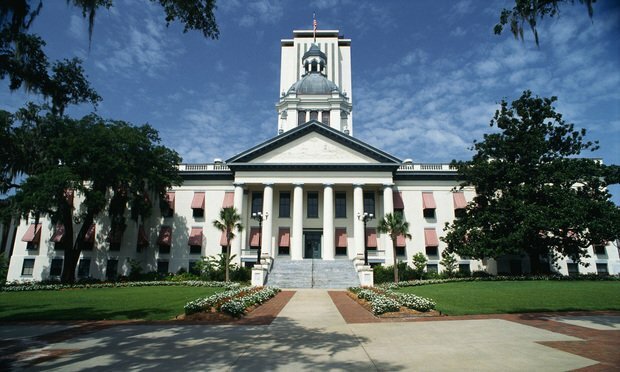 A proposed Florida bill stands to dramatically alter the case composition of Florida courts. Florida House bill 337 is intended to overhaul statewide provisions of Florida county and circuit courts. Following an amendment entered Tuesday by the bill’s sponsor, Republican Rep. Tom Leek of Ormond Beach, adjustments would increase the jurisdictional limit of county courts to $50,000. HB 337 outlines a plan for the change to take place over a two-year period. The bill calls for raising the limit to $30,000 by July 1 before instituting the new standard of $50,000 by July 1, 2021. The bill received a favorable vote by the Civil Justice Subcommittee on Wednesday afternoon, paving the way for it to be heard next in the Justice Appropriations Subcommittee and the Judiciary Committee. Its Senate counterpart, SB 328, calls for the jurisdictional limit of Florida circuit courts to be raised to $50,000 by Jan. 1, 2022. The legislation also establishes a means for defendants to formally question the award sought by plaintiffs in civil cases. In its current form, the bill allows for defendants to “demand proof of the reasonableness of the alleged amount in controversy within 30 days,” according to an analysis shared by the Civil Justice Subcommittee. The defendant would not be required to provide evidence or arguments backing the veracity of their challenge. It would then fall upon the plaintiff to provide a preponderance of evidence that there is a “reasonable likelihood” they’ll recover at least the amount of damages alleged in the complaint. If they fail to do so, the case would then be transferred by the court to the appropriate jurisdiction. An earlier iteration of the bill was stricter in its standards, requiring litigants to justify the sum sought with “clear and convincing evidence.” The penalty for failing to do so was similarly steep, as those who failed to make their case would have their litigation dismissed with prejudice in the jurisdiction in which it had been filed. Additionally, a section of the bill allows for Florida Supreme Court justices residing outside of Leon County to have an office in the district they permanently reside in. HB 337 is the latest iteration of an effort to reorient what cases will be heard in Florida’s county and circuit courts. In 2018 Rep. Leek sponsored HB 7061, which provided for an institution of a $50,000 jurisdictional limit that would be raised every five years. Leek did not respond to requests for comment on the bill by deadline. William Large, president of the Florida Justice Reform Institute, criticized the prospective raise in the jurisdictional limit for circuit courts. However, others see the prospective raise as a much-needed and long overdue shift to the system. Jeffrey Gilbert, a partner with Cozen O’Connor’s Miami office, called the raise a good idea and noted the jurisdictional limits haven’t been changed in more than 25 years. “It definitely will alleviate a lot of the pressure on the circuit courts for cases where damages are alleged,” Gilbert said. He commented the change would arrive at an interesting time in Miami-Dade County with the construction of the new circuit courthouse. “Most of the county courts at this point are located not only downtown, but also in satellite courthouses throughout the county,” he said. He noted the influx of cases into county court would necessitate the review of its buildings and personnel for capacity and qualification purposes. Fowler White Burnett shareholder James Hurley said “there’s no reason” county court judges couldn’t hear cases once handled in circuit court. “The limit that was set in 1992 was pretty low,” Leek said. He added the changes would put Florida “more in line with what other states are doing” with their court systems.